There aren’t many Android apps for navigation that can be as reliant as Google’s very own Google Maps. While there is rarely ever a chance that Google Maps will let you down, the new users are reporting an issue with compass calibration. 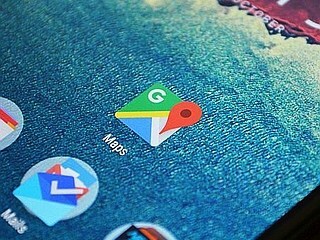 If you have been looking for a way to calibrate compass in Google Maps on Android, you’re in the right place. This particular way to calibrate compass is Google Maps is not 100% effective. Hence, you need to follow the good-old Figure-8 method to calibrate the compass. Simply open up the Google Maps app on your Android device to get started. Instead of following the on-screen instructions for calibrating the compass, start using the Figure-8 method. Hold your device out in front of you at arm’s length and move it around in the air, creating a figure-8 pattern. Make sure you do not twist the direction of your phone while you calibrate compass in Google Maps. Your phone will now be able to accurately collect the locational data it needs to feed the Google Maps app for it to work properly. Have you finally learned how to calibrate compass in Google Maps on Android with this quick guide? Do let us know your thoughts in the comments section below.